Horse games are mistakenly thought to be games suitable only for tweens and teens, particularly the female side of the gender. However, the truth is that horse games are for children as much as they are for teens and tweens. 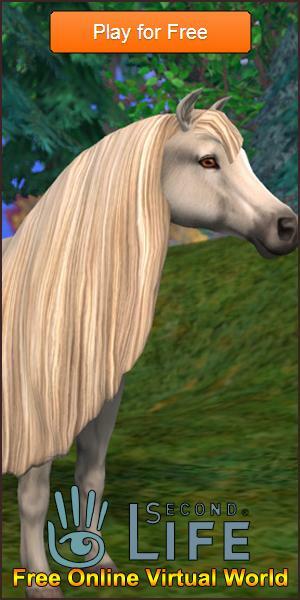 Anyone’s welcome to enter and play in the wonderful world of Horse simulators! I'm sure you will want to know why your kid would want to and be well-suited to play horse games, so here are some reasons. First and foremost, horse games are very educational. In real life, taking care of a horse takes a lot of skill both in getting the trust of animals and in understanding what they need. You don’t just feed a horse as much food as you think they should be having because it will have some side effects. For instance, feeding them too much wheat without exercising them could make them gain weight! Being overweight will result to reduced stamina, which will affect the horse’s performance in events, particularly racing. Horse simulators like Howrse, while very simple in design and interface, will teach them how to balance their horse’s food intake to be more favorable towards performance. If your horse gets overweight, the system will let you know! Most people tend to equate games with simple leisure, but horse games are an exception. While they are definitely great ways to pass the time, especially for kids, taking care of virtual horses will teach your kid a sense of responsibility. Children don’t have a mind for real-life responsibilities, as they are too young to appreciate them, but they’ll take seriously any tasks that are related to the games that they play. They will develop an affinity for their virtual horse, and they’ll understand how important it is for them to take seriously what are they expected to do by the game. There is definitely a lot of things that children can learn from playing horse games. While nothing beats the real thing, it is definitely a lot safer than getting your kid a real horse to take care of without any prior knowledge. Not to mention, with horse games like Star Stable, your child can also have fun interacting with their fellow players in a safe and secure environment. You could even play alongside them if you like as well... and that's one of the beauties of horse games - there's just no age limit to restrict you or your child from playing them. As long as you love horses, you'll most certainly have a great time in the game. Last but not least, horse games, like Ride: Equestrian Simulation, are very competitive in nature. If your kid has a competitive streak, these games are definitely the right fit for him. He’ll learn to take his horse-rearing responsibilities a lot more seriously as he might want to get the best scores from horse racing and other events that are available in those games. So, he’ll probably want to spend more time in training the horse to bring it to best shape. Horse games are abundant nowadays on the Internet. Thanks to these games, children and adults alike now have the opportunity to take care of their very own horse, albeit virtually. They don’t even have to spend anything for that chance, because these simulators are free-to-play and the only purchases available in the game are entirely optional. So, if your child has expressed an interest in horses, letting him or her to enjoy playing horse games is a great way to ease your child into perhaps getting a real horse of their own one day.